As the Rio Olympics kick off, Brazil has blocked the construction of a controversial dam in the heart of the Amazon rainforest. The São Luiz dam, planned for the Tapajós river, threatened to flood the Munduruku Indians’ forest and force many off their land. The Munduruku, like all indigenous peoples, depend on their land for their survival, but industrialized society is trying to steal it and plunder its resources in the name of “progress” and “civilization.” The Munduruku have been firmly opposing the São Luiz dam, and dozens of others planned for the region. The dam’s environmental licence was shelved this week following the Munduruku’s resistance, pressure from public prosecutors and experts on the ground, and reports by Brazil’s Indigenous Affairs Department and Environment Ministry. Alongside their struggle to stop the dams, the Munduruku have embarked on a landmark mission to map out their ancestral territory and protect it from illegal miners and loggers. The Brazilian government has failed to uphold its constitutional duty to do this, leaving the land open to destruction. Tribal peoples are the best conservationists and guardians of the natural world. Together with tribes across Brazil, the Munduruku are also protesting plans to change the law and drastically weaken indigenous peoples’ land rights. One of these plans, known as “PEC 215,” would give anti-Indian landowners and others the chance to block the recognition of new indigenous territories – and it might even enable them to break up existing ones. 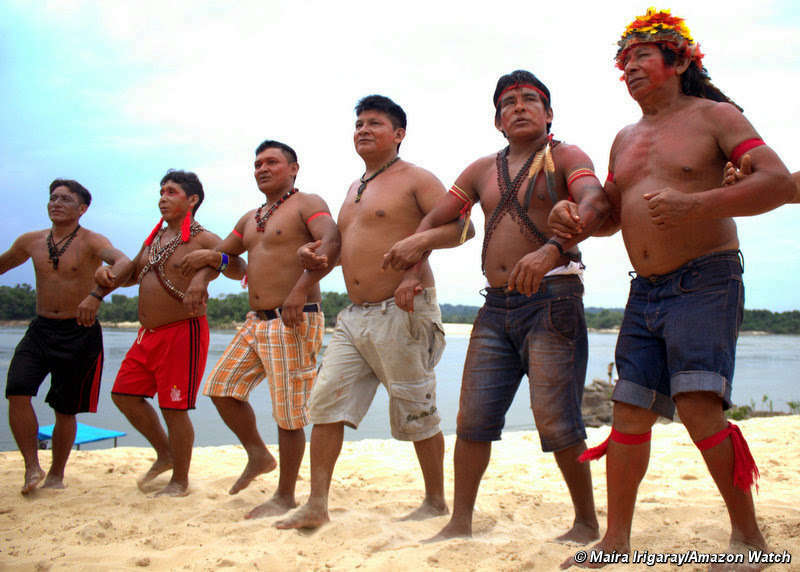 Survival’s “Stop Brazil’s Genocide” campaign, launched in April 2016 for the run-up to the Olympics, is galvanizing global support for the Indians’ resistance against PEC 215, and calling for the protection of the land of uncontacted tribes, the most vulnerable peoples on the planet. Previous PostNews round-up: fossil fuel trains, Santa Barbara chapter, report from England, supporting underground resistanceNext PostTime is Short: From Crisis to Resistance! The Olympics in Rio are a world wide media event, so where are the Green non-profits? After a small pitch for environmental stewardship during opening ceremonies we are left with non stop ways to consume and destroy the planet. This alone should be proof that big money non profits are not going to get us out of this mess.